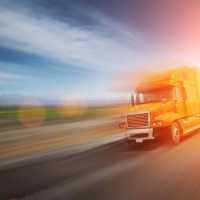 Whether it’s across the country, across the world, or just across the street, moving is a difficult process, made all the more difficult when you have vehicles. How do you take them with you? How do you protect them during transit? At Acclaimed Movers and Storage, we’re fully equipped, and trained, to transport your car safely and securely to anywhere in the world. Are you looking to relocate with your car, truck, or motorcycle, then look into moving with Acclaimed. Acclaimed Car Moving has highly trained relocation specialists, who have acquired years of experience moving all types of automobiles. Our relocation teams aren’t allowed near your vehicle until they’ve garnered enough successful moves. We also use top-of-the-line trucks and enclosed crates, so your car is guaranteed to arrive at its new address, on-time and safe and sound, no open auto moving here. Classic cars, antiques, every-day drivers, when you ship your automobile with Acclaimed, you get the peace of mind of knowing you’re in great hands. What is the process like? At a date and time of your choosing, a truck, and relocation team, will arrive at your door. Together they will inspect your car with you, noting any pre-existing damage or marks to ensure that it remains in the same condition during relocation. Next, Acclaimed team members will prepare to load the car. They start by attaching special ramps, designed to handle extreme weight, to the crate. After measuring the distance between the wheels, they will measure the top and bottom of the ramp, twice for accuracy. After correctly adjusting the ramps, they will secure them with ratchet harnesses so they cannot shift as the car is loaded. Your car will then be slowly and safely directed into the container on the back of the truck. Once the car is inside, and the parking brake engaged, our relocation specialists will begin the process of securing each tire with straps, preventing the car from shifting during transport. The special straps are larger than a man’s wrist, and designed to support thousands of pounds, so your car will not be moving an inch. Moving is never an easy process, especially when you have to solve the logistics of moving a car. Acclaimed Movers and Storage is the premier car moving company in the country, and we are ready to help transition you and your vehicle to their new locale. Local, national, or even international, we can and will move your. If you’re making a move, and considering all your options, make sure to give Acclaimed Car Moving a call today for a no-obligation free quote. We’ll get you moving. (888) 668-3703.